The actual city of Lisbon covers a land area of 84.8 km² (33 sq mi) and is the capital of Portugal. As of 2011, the population of Lisbon city is almost 548,000. However, if you stretch out the urban areas of Lisbon the population count reaches over 3 million. Portuguese is the main language in Lisbon; however, a lot of people and businesses speak English. The currency is the Euro. What is Lisbon's number one attraction? Many people will say that the city itself is Lisbon’s best attraction! But apart from that there are many sightseeing gems all over the city. Mosteiro dos Jerónimos (Jeronimos Monastery) is often regarded as the city’s most important landmark. Jeronimos Monastery started construction in 1502 and it was one of few buildings that survived the great earthquake in 1755 that destroyed most of Lisbon. This amazing two-storey monastery is garland-ornamented with stone shelves, sea monsters and other maritime symbols. It was once a tradition for Portuguese seafarers to pray in the chapel before they went on sea voyages to the unknown. Anything else which shouldn't be missed in Lisbon? Another top attraction in Lisbon is the famous Tower of Belem. This is a UNESCO World Heritage Site and is probably Lisbon’s most photographed attraction. The Tower of Belem makes for a great photograph because of its exterior decor. 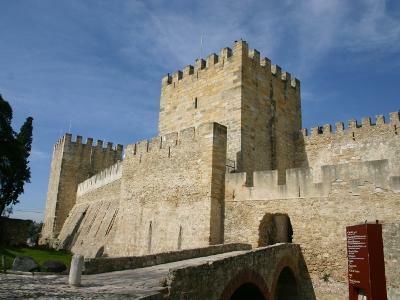 Another must-see is Castelo de Sao Jorge (Saint George’s Castle). 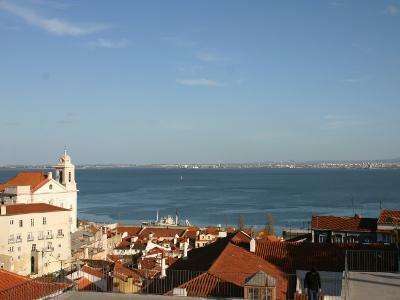 Close to this castle you'll find the oldest part of Lisbon – the Alfama quarter – which sprawls down the hillside below. What about art and culture? Like a lot of European capitals, Lisbon is brimming with art and culture. There are excellent museums on offer throughout the city including the world-class Calouste Gulbenkian Museum, the Ancient Art Museum and the more modern Design Museum. But make sure you keep an eye out for the many private and public collections that are on display in convents and former palaces such as the Tile Museum and the Decorative Arts Museum. There really are museums and galleries for all tastes in Lisbon. Where can you find Lisbon’s best architecture? The architecture of Lisbon mixes the old with the new on a coastal setting, including the aforementioned amazing World Heritage sites such as Jeronimos Monastery and Belem Tower. These old-style buildings are complimented with some modern additions to the city, such as the Vasco da Gama Bridge, which is Europe’s longest bridge at 17km long. Another great example of modern architecture in Lisbon is Oriente Station as well as The Oceanarium. Anything else I need to know about Lisbon? Lisbon has lots of beautiful squares, parks and gardens. You should also take advantage of many of the superb natural viewpoints in the city. Lisbon is spread over seven hills facing the Tagus River so there are a lot of ‘miradouros’, or viewpoints, at the highest points of these hills. From here you can take in some breathtaking views of the city and surrounds. Is it expensive to go out in Lisbon? Like most European cities, the price range of going out in Lisbon can vary to both ends of the scale. It depends on what neighbourhood you go out in and what you're drinking. A beer can cost €1 while other drinks can cost up to €5. Lisbon is renowned for it very lively nightlife. The Bairro Alto quarter (‘high neighbourhood’) is a popular spot for dinner and drinks. This area is made up of narrow streets full of people in packed bars that stay open until dawn. Other great nightlife spots include Santos, Alcântara, Parque das Naç and the area around the castle. The Docas area by the river is also a thriving nightlife spot. If you have a young-looking face then you probably should bring it with you, just in case. Sure. Lisbon has a lot of great cafés where you can sit for hours with coffee or some food and read or just watch the world go by. There are also some great concert venues in Lisbon, so it is worth looking into any events taking place in venues like the Atlantic Pavilion and Coliseu dos Recreios. And for some great cultural events, take a look at the great programs taking place in the Belem Cultural Centre. A visit to a Fado house is a must in Lisbon. Fado is the music of Portugal and is performed in many restaurants and ‘Fado Clubs’ across Lisbon. A lot of these great Fado clubs can be found in the Bairro Alto and Alfama neighbourhoods. Is it expensive to eat out in Lisbon? Most restaurants in Lisbon are relatively cheap to eat at; just make sure to avoid the tourist traps that can overprice their menus. Dining in Lisbon tends to follow the Mediterranean style and a lot of the restaurants are small, family-owned places with cheap options such as their ‘dish of the day’. There are many popular neighbourhoods for eating out in all over Lisbon. If you are looking for some traditional Portuguese cuisine then try the area of Chiado or the narrow streets of Bairro Alto. 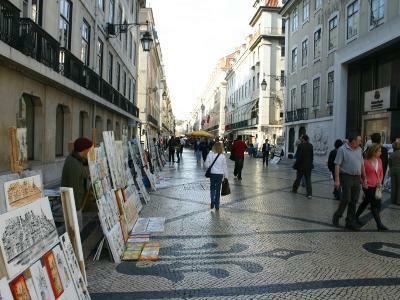 A lot of the tourist traps can be found in the Baixa area but there are a few exceptions in this area also. You will find a lot of the big chain eateries around Doca de Santo Amaro and Parque des Nações. Also, by the waterfront area of Doca de Jardim de Tabaco you will find some great dining experiences as well as some of Lisbon’s best clubs. There is a wide range of cuisine on offer throughout Lisbon to suits all tastes and budgets. However, many restaurants in Lisbon will pride themselves on serving traditional Portuguese food which is a must when visiting the city. Many Portuguese restaurants will bring food to your table that you have not ordered such as bread, cheese and olives. These are not free but you will not be charged if you don’t touch them. Also, there are Fado restaurants as well as clubs where you can experience the traditional music Portugal while you eat. Some of these restaurants are pricey and the food may not be as good as elsewhere but remember – it’s the musical experience you're paying for. How many different modes of public transport are there in Lisbon? 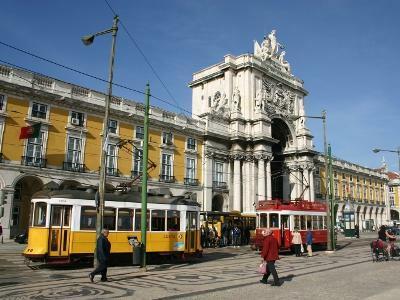 There are six forms of public transport in Lisbon - Metro, bus, tram, train, taxi and ferry. The Metro is the main artery of public transport as it connects the city centre with upper and eastern districts as well as the suburbs. 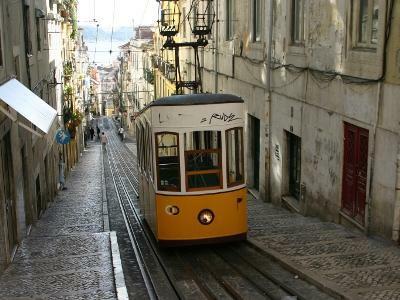 The most traditional form of transport in Lisbon is the tram. This dates from the 19th century and navigates the city’s steep hills and narrow streets in the city centre. There are also various commuter bus services that run from terminals across the city. A commuter train service also departs from Lisbon city. If you want to cross the river you can take a ferry which operates from various parts of the city. And of course, taxis are available throughout the city. Is there one ticket which covers bus/train/subway? There are a large variety of ticket types available for all forms of transport in Lisbon. A Sete Colinas/Viva Viagem pass can be purchased for fifty cent which you then top up for a day’s travel. However, there are different versions of these passes in relation to the company running the transport you are using and these are not interchangeable. For example, if you purchase a Viva Viagem pass from Carris/Metro you can only use this pass on transport services that Carris/Metro operate. If you wish to use a Viva Viagem pass on the Transtejo ferries you will have to purchase another Viva Viagem pass for that company. These passes can be swiped as you enter the turnstiles. Lisbon is a beautiful city to walk around but remember it's set upon seven hills! There are a lot of public transport options in the city and they're easy and cheap to use. Our city focus turns to Lisbon, Portugal this week as we take a quick look at this popular city by the coast. Win 5 nights in Lisbon! Lisbon is one of Europe’s most popular capital cities because of its close proximity to the coast.